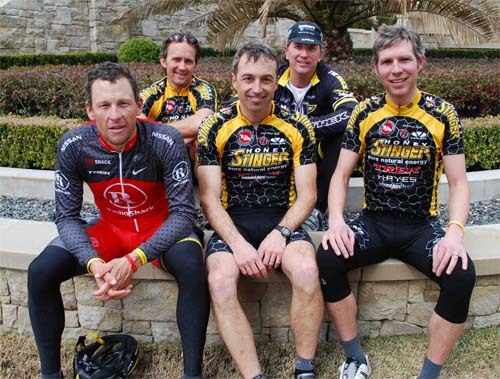 The story goes that Armstrong first met Zanni, Honey Stinger’s marketing director, when they teamed up to race the 12 Hours of Snowmass mountain bike race near Aspen, Colo., in 2008. The foundation for a new business partnership was hatched “over the course of long bike rides and get-togethers with company leaders,” according to a press release. I have long been a fan of the Honey Stinger gel packs. Pure honey as fuel is a great alternative when you’re tiring of GU or CLIF Shots during an event. For more info on the Lance connection, check out this interview on CNBC — http://www.cnbc.com/id/36822988 — where Lance talks about the deal in depth to describe what the partnership dynamic with Stinger will soon look like.